There are several galleries below of the island, both finished and as it was being built, but this video takes you on a tour after it was pretty much finished. Sorry for the poor video quality, but we were working with the best available software at the time for capturing machinima, and I do not have the original footage to edit. 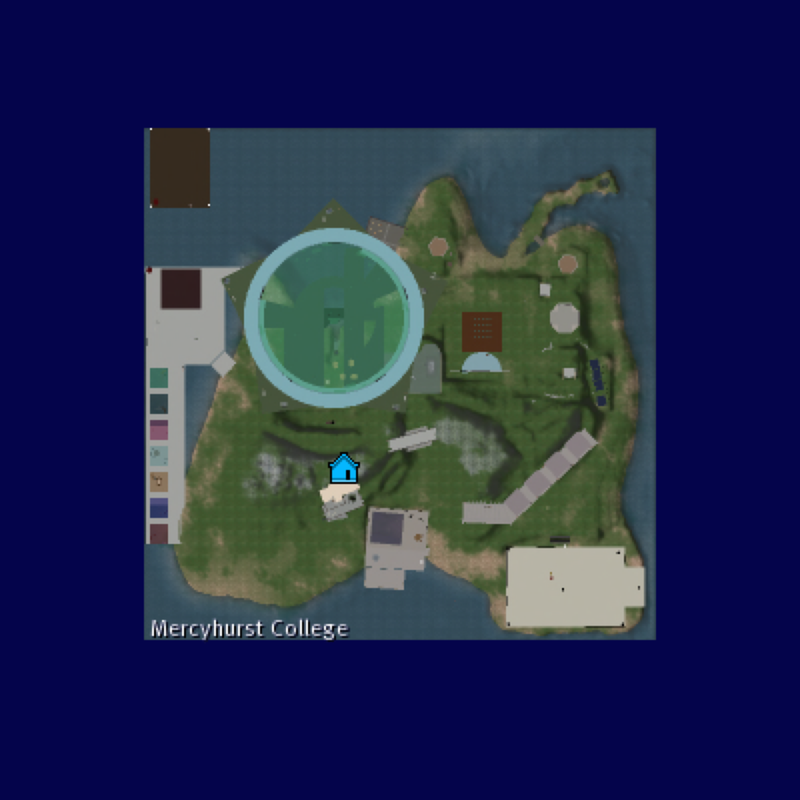 The island contained all the sorts of spaces you would expect on a college campus in a virtual world: an art studio and gallery, a public sandbox and building resources, a theater, office/classroom spaces, a health building, a floating learning lab, and a library. Oh, and a coffeehouse for artistic presentations. Art faculty were encouraged to send digital art for display in this gallery, as well as to design projects to be built in the studio space floating above the gallery. One student honors poster session was displayed in the theater shortly after being displayed on campus. One group of Intel students made a presentation to viewers in Europe. The floating learning lab was co-designed by me and Scott Kahler, an education student at the college. Scott did all the building of the lab. I built the learning stations. A floating meeting space was built for the Pittsburgh Blackboard Users Group.